Royal Enfield Classic 350 Gunmetal Grey and Classic 500 Stealth Black launched in India. 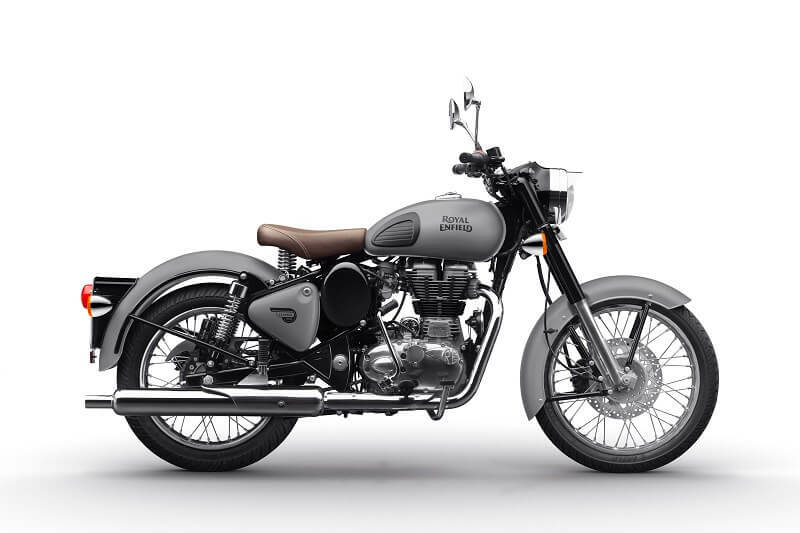 The Royal Enfield Classic 350 Gunmetal Grey is priced at Rs 1,59,677, while the Royal Enfield Classic 500 Stealth Black is priced at Rs 2,05,213, both prices are on-road (Chennai). The two new colours variants of the Royal Enfield Classic sports contemporary shades in a stylish matt finish and the motorcycles now come equipped with both front and rear disc brakes. The iconic bike manufacturer says these two new variants will resonate with the new-age riders' sense of style, while they continue to embrace the pure motorcycling experience. Introducing the new motorcycles, Mr. Rudratej (Rudy) Singh, President, Royal Enfield said, "We try to stick to doing things that are authentic. In that spirit, the new Gunmetal Grey and Stealth Black variants of the Classic are an ode to our riders and their journeys." "It is an authentic expression of self and a celebration of the dark and the spirit of the various shades of night when a rider reminisces the day gone by and the day that is to unfold. We are confident that this will resonate with riders and aspirants who believe in what we believe. Pure Motorcycling. With these new Classic additions, riders have more ways to tell their story." The new colour variants of the Royal Enfield Classic were previously leaked and was reported to be equipped with the swing arm of the Thunderbird to fit the rear disc brakes. Both the new colour variants of the Royal Enfield Classic resonates the aura of a retro look. But the most important fact that the company has equipped the swing arm of the Thunderbird will help to fit ABS as well in the future.